Lakewood's Rock Ryder is Deceivingly Refreshing. 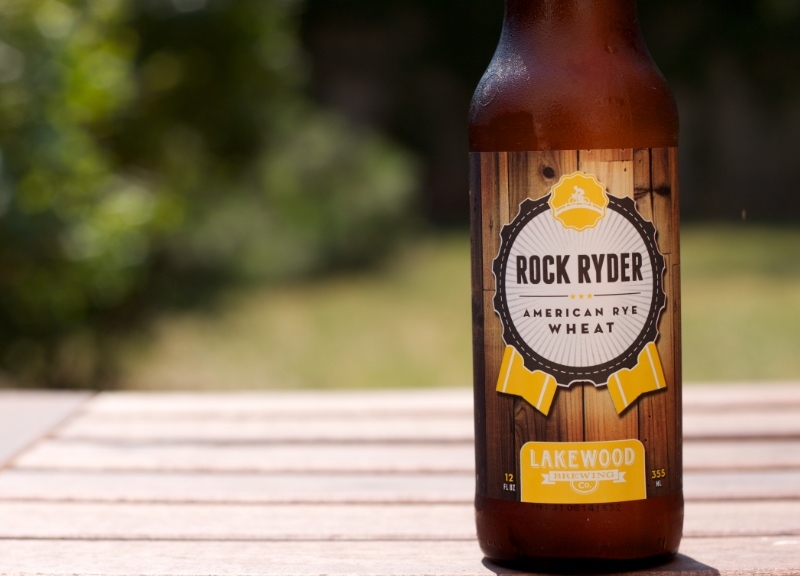 This week, we took Lakewood Brewing Company's Rock Ryder for a spin. Fast Facts on Lakewood Brewing Company Rock Ryder. • Style: American Rye Wheat. • International Bitterness Units (IBUs): 20.
with their take on an American Rye Wheat Ale, Rock Ryder. 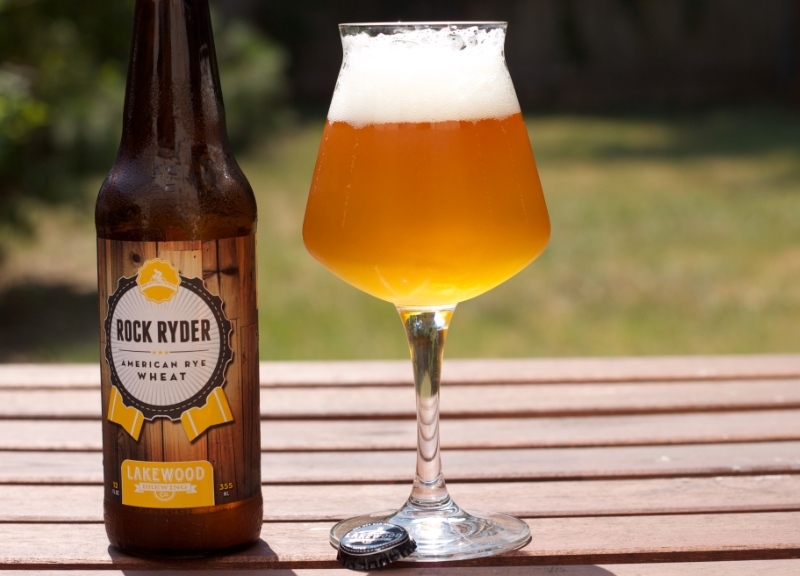 As you may have gather from its name, Rock Ryder is inspired (and brewed for) the cyclists who spend their weekends riding in circles around White Rock Lake. Background on American Wheat or Rye Beers. 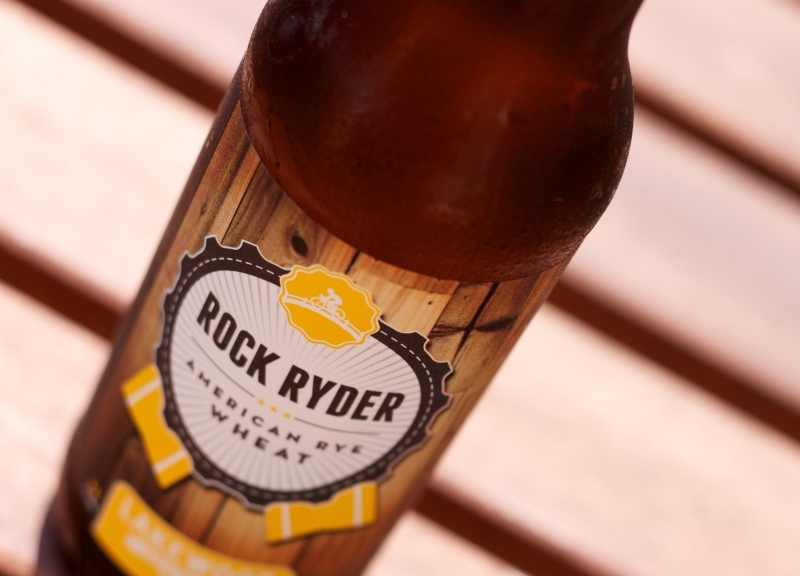 As an American Rye Wheat, Rock Ryder falls under category 6D for American Wheat or Rye Beers in the BJCP style guidelines. With an American Wheat (even when Rye is added), what I'm typically looking for is a Wheat beer base, but with a cleaner flavor profile and more hop character than what you might find in a classic German Wheat beer. This means that those banana, clove and yeast flavors most associate with the style will be muted, if they're present at all. 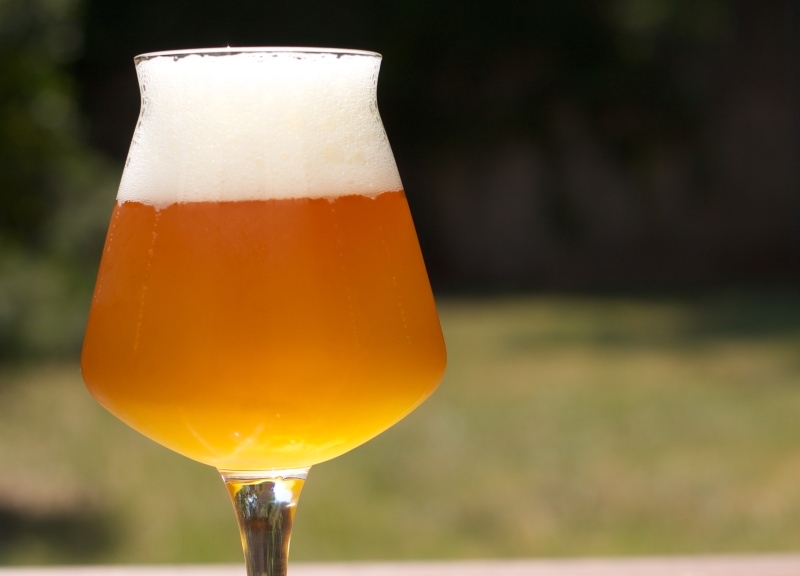 More specifically, these beers will pour pale yellow to gold, and may be hazy. They should have a bit of grainy wheat or rye character to the aroma with a bit of malt sweetness and light hop presence. Flavors include a stronger grainy wheat or rye component with moderate malt sweetness and light hop flavor. Again, banana, clove and yeast flavors are not appropriate. The rye should impart a rich, almost spicy character to the beer. 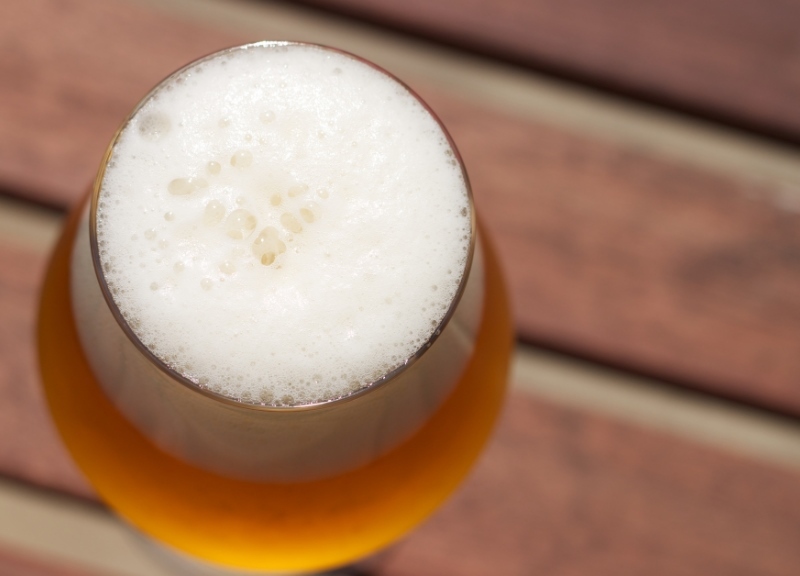 Rock Ryder pours a hazy, pale straw color with a thick, pillowy white head, which quickly recedes back into the beer. Up front Rock Ryder presents clean, delicate spice and rye with subtle notes of spicy and herbal hop aroma that smells of noble hops instead of citrusy American varieties. There are slight hints of grain to be had as well, but it can be hard to isolate. Rock Ryder is quite spicy for a beer, though combined with a very dry finish and well-rounded bitterness, it winds up being very refreshing. There's a lot more of the spicy and herbal character that was teased in the aroma, and the rye cuts through the entire flavor profile nicely. Also, a faint bit of malt sweetness that helps to balance out the other flavor components. Fruity esters are definitely present, but not overpowering, and not of the German wheat variety. This beer has a medium to slightly light mouthfeel with what seems like elevated levels of carbonation, and it finishes crisp and dry. Stylistically speaking, Rock Ryder hits on just about all the major criteria for an American Wheat/Rye Beer. It has the grain and spice flavors and aromas which are appropriate for the style. It also has elevated hop flavors, aromas and bitterness. Here, Lakewood has clearly used a cleaner fermenting yeast which has tempered any banana or clove flavors typically found in classic German wheat beers. What I enjoy most, however, is the balance achieved between the rye malts and noble hops. They work beautifully together, and help to establish Rock Ryder as an easy-drinking, everyday ale. It's a particularly strong choice during the scorching summer months when a heavy-handed, cloyingly sweet ale just won't do. Much like Lakewood's other year-round offerings, you can't go wrong by choosing to drink a Rock Ryder next time you have the opportunity. It holds its own against both The Temptress and Hop Trapp, and is one of the better examples of the style in the region. On a scale of 1-10, I'll give Lakewood Brewing Company Rock Ryder an 8.5. • Thursday, July 24. Bishop Cider Launch Party at Craft & Growler. • Saturday, July 26. FireWheel Brewing Co.'s two-year anniversary. • Saturday, July 26. Dallas Brew Bus Dallas Opera Tour.